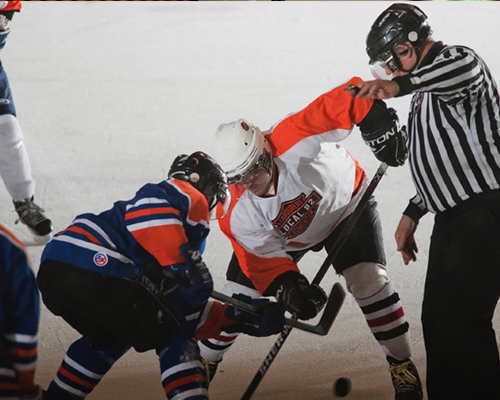 The Building Trades of Alberta, Vida Events and participating unions host a recreational hockey tournament at the Chestermere Arena called the Battle of the Trades. This annual tournament is an opportunity for the Building Trades of Alberta affiliated unions to celebrate the comradery within the trades and have some fun with family and friends.This is a family friendly event that is fun for all ages! We thank players and their families and friends for joining us to help raise over $5000.00 for The Building Trades Charitable Foundation and the Calgary Poppy Fund and Veteran's Food Bank. Check out the 2016 photos! On April 17th-19th 10 Alberta Trade Union teams participated in the 3rd Annual Building Trades of Alberta Hockey Tournament. A total of $10,102.99 was raised in support of the Calgary Poppy Fund & Veterans Food Bank along and a total of $635 was raised for the Building Trades Foundation. Thanks to everyone who came out! 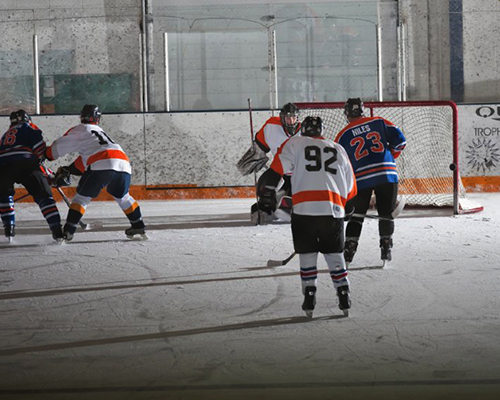 On April 5th and 6th, 2014 a total of 9 hockey teams came together from seven Southern Alberta unions to participate in the 2nd Annual Building Trades of Alberta Hockey Tournament. A total of $4143.40 was raised in support of the Building Trades Foundation and the Calgary Veterans Food Bank/Poppy Seed Fund. Thank you to all who came out to play, volunteer and cheer on the teams. On April 5th and 6th, 2013 a total of 9 hockey teams came together from seven Southern Alberta unions to participate in the 2nd Annual Building Trades of Alberta Hockey Tournament. A total of $4143.40 was raised in support of the Building Trades Foundation and the Calgary Veterans Food Bank/Poppy Seed Fund. Thank you to all who came out to play, volunteer and cheer on the teams.